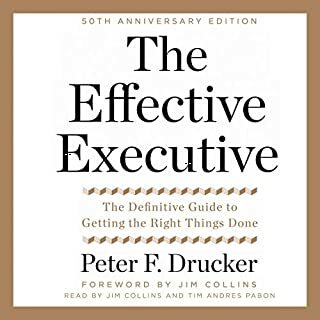 This concise audiobook is based on Mr. Drucker's summary of The Effective Executive done at the request of Harvard Business Review and is now one of their best selling published works. This article is a perfect way to learn about the subject broadly in a short period of time. Unlike many articles of this kind, summarizing a book's contents, this article was written and crafted by the author himself. First published in 1930, Civilization and Its Discontents is one of the most influential works of pioneering psychologist Sigmund Freud. 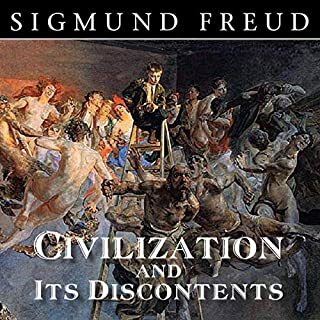 Focusing on the tension between the primitive drives of the individual and the demands of civilization for order and conformity, Freud draws upon his psychoanalytic theories to explain the fundamental structures, conflicts, and consequences of society. Meet a genuine American folk hero cut from the homespun cloth of America's heartland: Sam Walton, who parlayed a single dime store in a hardscrabble cotton town into Wal-Mart, the largest retailer in the world. The undisputed merchant king of the late 20th century, Sam never lost the common touch. Here, finally, inimitable words. Genuinely modest, but always sure of his ambitions and achievements. Sam shares his thinking in a candid, straight-from-the-shoulder style. In a story rich with anecdotes and the "rules of the road" of both Main Street and Wall Street, Sam Walton chronicles the inspiration, heart, and optimism that propelled him to lasso the American Dream. How much of innovation is inspiration, and how much is hard work? The answer lies somewhere in the middle, says management thinker Peter Drucker. In this HBR classic from 1985, he argues that innovation is real work that can and should be managed like any other corporate function. Success is more likely to result from the systematic pursuit of opportunities than from a flash of genius. Indeed, most innovative business ideas arise through the methodical analysis of seven areas of opportunity. This is a summary of The 67 Steps. Imagine what Atari might have achieved if Steve Jobs had stayed there to develop the first massmarket personal computer. Or what Steve Case might have done for PepsiCo if he hadn't left for a gaming start-up that eventually became AOL. What if Salomon Brothers had kept Michael Bloomberg, or Bear Stearns had exploited the inventive ideas of Stephen Ross? Scores of top-tier entrepreneurs worked for established corporations before they struck out on their own and became self-made billionaires. Throughout history, people had little need to manage their careers - they were born into their stations in life or, in the recent past, they relied on their companies to chart their career paths. But times have drastically changed. Today we must all learn to manage ourselves. What does that mean? As Peter Drucker tells us in this seminal article, first published in 1999, it means we have to learn to develop ourselves. We have to place ourselves where we can make the greatest contribution to our organizations and communities. And we have to stay mentally alert and engaged during a 50-year working life, which means knowing how and when to change the work we do. It may seem obvious that people achieve results by doing what they are good at and by working in ways that fit their abilities. But, Drucker says, very few people actually know - let alone take advantage of - their fundamental strengths. He challenges each of us to ask ourselves, "What are my strengths? How do I perform? What are my values? Where do I belong? What should my contribution be?" Don't try to change yourself, Drucker cautions. Instead, concentrate on improving the skills you have and accepting assignments that are tailored to your individual way of working. If you do that, you can transform yourself from an ordinary worker into an outstanding performer. Today's successful careers are not planned out in advance. They develop when people are prepared for opportunities because they have asked themselves those questions and have rigorously assessed their unique characteristics. ©1999 Harvard Business School Publishing (HBSP) (P)2008 No Hassle Inc. I judge the value of the book by the number of notes I take. For such a short read, it was remarkably useful and actionable. 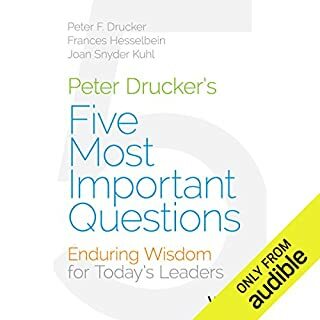 The book teaches you the importance of asking and knowing the answer to four questions: What are my strengths? How do I perform? What are my values? What should my contribution be, given the situation, my unique strengths, and my values? By applying mindfulness techniques (and this is not in the book), you can find the answers you're looking for. But you have to search. It was great, well written from an effective leader. good insight in a really quick way. 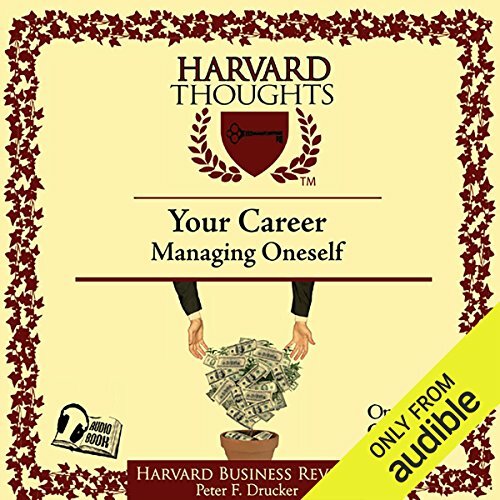 Would you consider the audio edition of Managing Oneself to be better than the print version? It is handy to listen to it while on the go. The audiobook is short. What other book might you compare Managing Oneself to and why? "Who Moved My Cheese" by Spencer Johnson only in that it gets to the point and teaches a valuable lesson clearly. Which character – as performed by uncredited – was your favorite? The narrator has an excellent voice and I enjoyed his narration greatly. 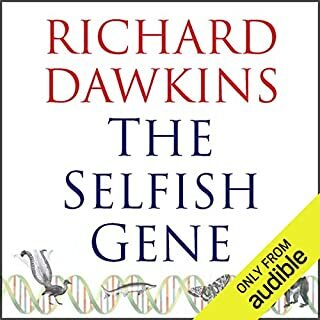 This audiobook was a great value - bought for less than a dollar - and one that I recommend to everyone. Yes. Yes. Yes. I can listen to this over and over again. If you have a high school student in your life, send them this book. It will help them immensely with their future choices and approaches. This book was so short yet so great! Put it on three times speed and devour this book as quickly as possible! This book is the foundations on building your own business. Its great! Short and to the point. I highly recommend this book to anyone who is starting their entrepreneurial life. You must read this book at least once a year. Make sure and get this book in your head! Really good advice here. Practical principles that anyone can follow. Good quick read. Worth the recommendation. Good but it is a too short audiobook... i will always prefer longer audio books. 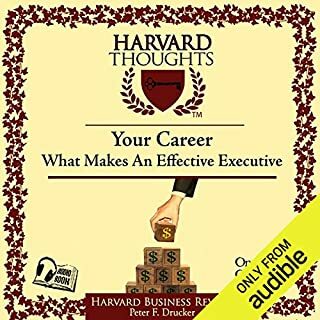 This is an excellent and relatively short audiobook packed with vital and useful information on how to approach one’s career and life in modern day organisation. Your values, your strengths, your style are most vital in knowing yourself, fitting into the right place, and managing your career. Also, need to start planning for retirement already. Awesome to see the benefits of living a CEO Life! Quite short and to the point, exactly how a book like this shouldn've been written. This book is really insightful, the production is not the best but a very good book highly recommended. You would be foolish not to buy this invaluable book! Brilliant actionable insights for such a short and low cost book! This book met my expectations in more ways than one. I own the hard copy which I read on a regular basis. Highly recommended. Short and effective, this book contains knowledge that can be implemented and should be implemented by people in modern society. I now know how much I don't know myself. I have some work to do. The content is so relevant even today. Amazing. Fantastic piece of work by Mr. Druker. A true masterpiece. Would help any knowledge workers. True back then, Truer now. 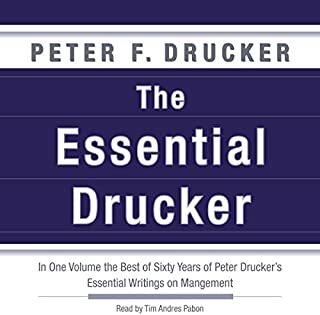 Peter Drucker saw long ago where we were headed and he did his best to prepare us for it. This small book contains great insights into what we need to even begin to be anyone of worth in the new Knowledge worker age. A quick read/listen book that is a really thought provoking. It definitely makes you reevaluate your life, in all aspects. So glad I got this audio book! Loved it. It's short but worth every dollar. I picked up two things personally and they are worth their weight in gold. highly recommended.